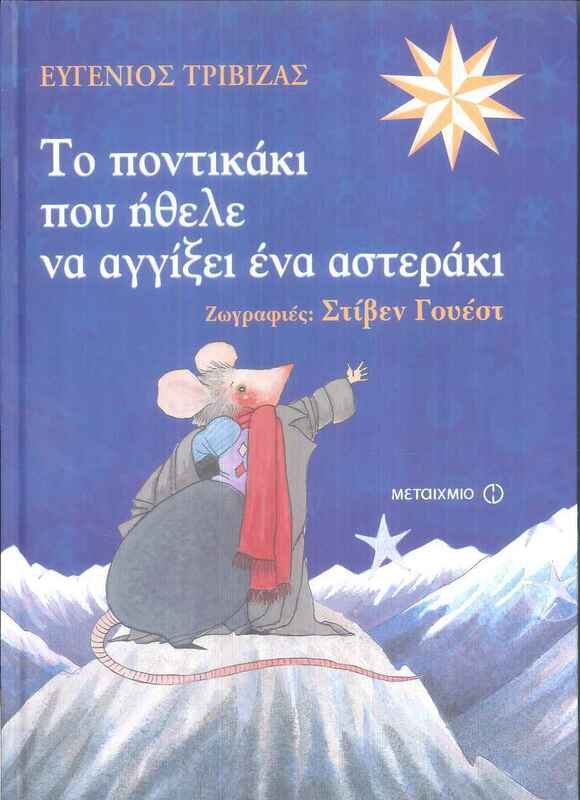 A little mouse had always told his grandpa his wish to touch a star and he was always told that he couldn’t. He would try again and again, jump on the rooftops and climb on antennas, but nothing. He couldn’t do it! One day, a Christmas tree appeared on the family’s living room with a big star on top. 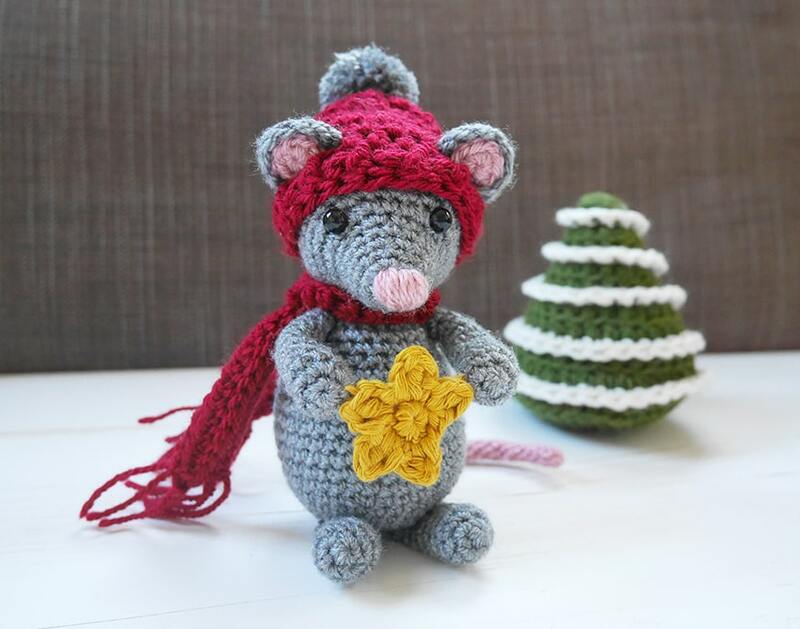 Our little mouse started climbing the tree, and after many interruptions and temptations by the toy ornaments on the tree, the mouse finally got to grant his wish and touch a star! I experimented with shapes for the body first and then moved on to the other body parts. All seemed to be working well, except for the body, It took me 3 tries to make it as I wanted and as it should be like to fit with the rest of the mouse. I really wanted to make it a little bigger, but I couldn’t make it look as cute as it is now. 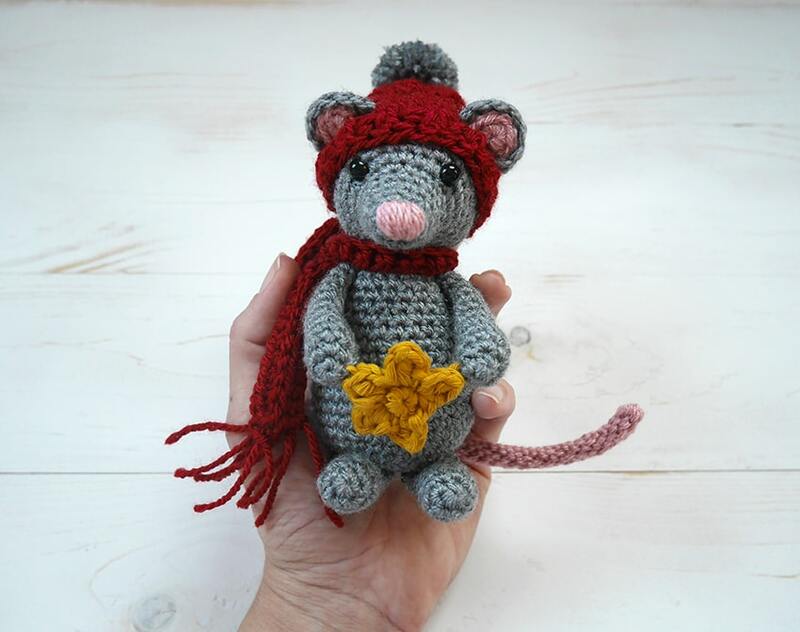 Our little crochet mouse is about 12 cm (5 inches) tall, now. 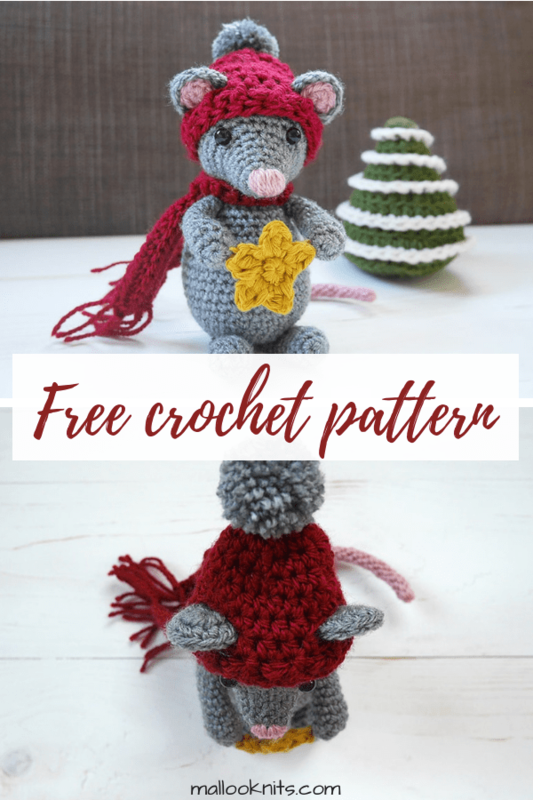 Also, you can find the free crochet pattern for the Christmas tree in the photo above, here. The pattern is worked in a spiral unless stated otherwise. 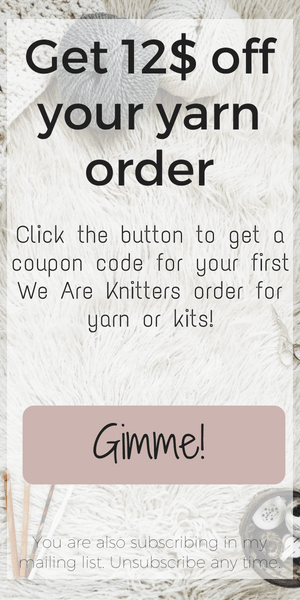 Use the stitch marker and do not join rounds. 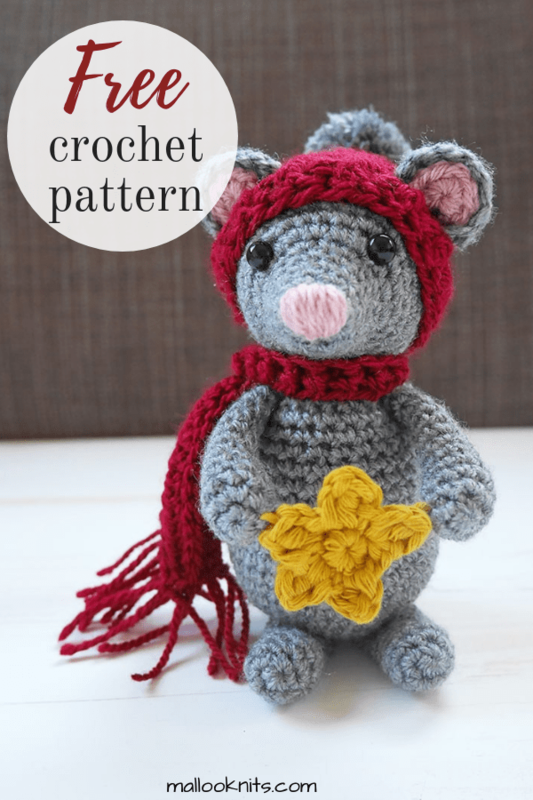 All my patterns use US crochet terms. I always suggest when making amigurumi to use this special little trick, explained in this blog post here. 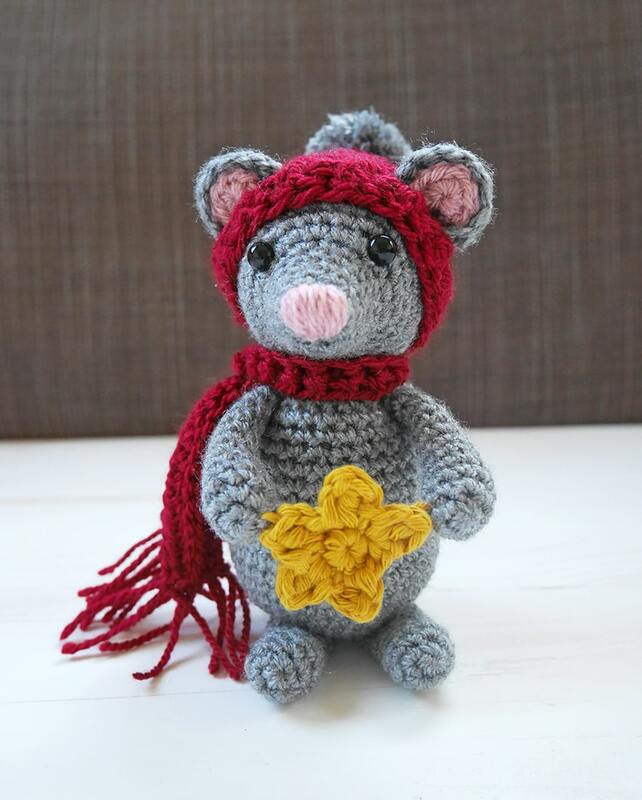 Let’s start making our little crochet mouse! This is a good time to place the eyes and start stuffing the head, giving it shape as you go. The eyes are placed between rounds 8 and 9, 8 stitches apart. Cut yarn and sew opening. With small amount of pink yarn, embroider the nose. Cut yarn and leave long tail for sewing head on the body. Stuff the body firmly. Stuff lightly only on the hand. Cut yarn and leave long tail for sewing. First, sew top opening of hand closed. Repeat the process for the other hand. Stuff lightly only on the front part of the foot. Cut yarn and leave long tail for sewing. First, sew top opening of foot closed. Repeat the process for the other foot. Cut yarn and leave long tail for sewing. Cut yarn and leave long tail for sewing inner ear on outer ear. Sew the ears between round 14 and 15 of the head. R2-…: sl st in flo in each st around for about 11 cm (4.5 inches) or for as long you want your tail to be. To make sure you are not crocheting the tail on the wrong side, after the magic ring, pinch it with your fingers closed. Remember to work your slip stitches loosely. Cut yarn and sew top of hat closed. 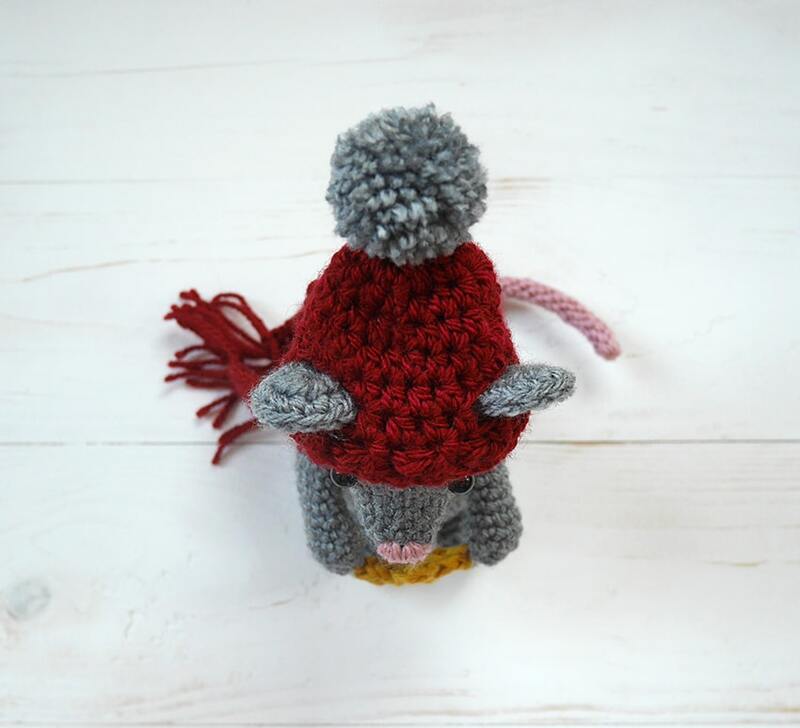 With grey yarn make tiny pom pom for the hat. I used the smaller size of this clover pom pom maker. Cut yarn and add fringe on both sides of the scarf. If you don’t know how to locate the third loop in hdc you can check out this blog post here. R2: (sl st, ch 2, dc, ch 2, sl st) all in the first stitch. Repeat for the other 4 stitches and cut yarn, leaving a long tail for sewing star on both hands. 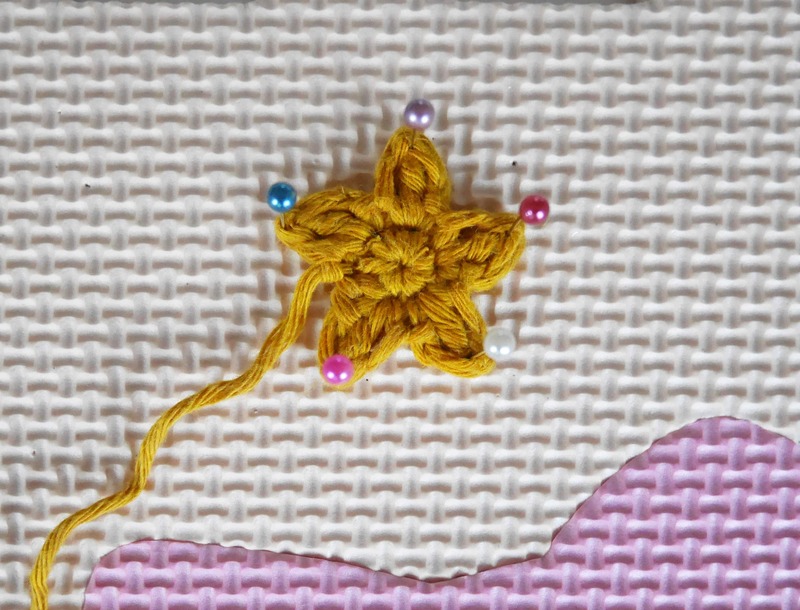 You can block the star as shown in the photo below for better shaping. That’s it! You are done! 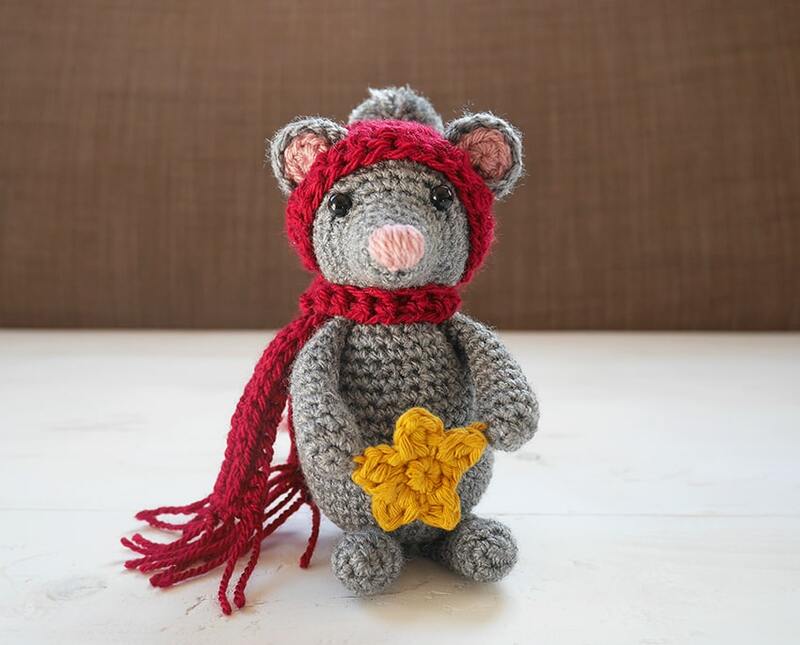 Enjoy your little crochet mouse!